Squeaky Clean – Healthy intestinal function and a balanced intestinal environment are essential to your overall health and proper immune function. Squeaky Clean® balanced formula offers a complete range of natural ingredients that work together to promote and revitalize optimal intestinal function, promote regularity, and support overall intestinal health. Squeaky Clean® gently promotes a healthy intestinal environment for normal function and nutrient absorption without dependency. Good Sugar – Good Sugar® is a sugar-free dietary supplement containing nutrients and plant extracts that support the body’s ability to properly metabolize sugars and maintain blood sugar levels within the normal “good sugar” range. It also provides crucial but often deficient nutrients needed for optimal sugar metabolism, and delivers powerful antioxidants that can help prevent oxidative damage. This is a completely natural formula containing only nutrients and botanical substances that support healthy functioning of your body’s own processes. Land, Sea and Air – Land, Sea and Air® naturally promotes a sense of wellbeing while riding in cars, planes or boats. It contains simple yet very effective ingredients that work together to relieve symptoms of any kind of motion discomfort. This unique formula is the perfect solution for anyone who would like to be able to enjoy land, sea or air travel. It provides a nontoxic, non-habit forming aid to the traveler with no negative side effects. 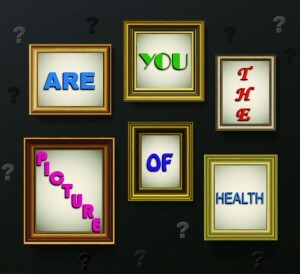 Are You The Picture of Health? Glowing skin and healthy hair can improve our appearance and boost our overall self esteem. How we present ourselves to others is of primary importance to many of us. Healthy skin and hair are powerful indicators of overall health. Changes in skin and hair conditions can alert us to potential health problems. Poor diet can affect skin very quickly by causing acne flare ups, inflammation or sallowness. Diabetes and thyroid disease can contribute to hair loss. Nutritional deficiency, hormonal imbalances, smoking and sleep deprivation all have negative impacts on skin and hair health. As part of our largest organ system, our skin has many functions. Skin, hair and nails are part of the integumentary system that helps support life. The skin protects our internal organs from injury, bacteria and viruses. It regulates body temperature, maintains fluid and electrolyte balance and provides protection from the environment. Skin allows the sensations of touch, pain and pressure and is instrumental in the production of vitamin D. Hair protects the head from harmful ultra-violet rays, provides sensors that alert the body to potentially damaging objects and helps to regulate body temperature by serving as a source of heat insulation and cooling. Cells and processes that support healthy function depend on a balanced diet. Proper nutrition is vital for the maintenance of skin health. Silica helps strengthen connective tissues and is fundamental for skin and hair health. Food sources include beans, berries, asparagus and rhubarb. Zinc is an important component of skin health acting to control oil production and immune system function. Foods rich in zinc include oysters, brazil nuts, eggs and ginger. Oysters contain a high level of protein which promotes hair growth and strength. Omega-3 Fatty Acids are responsible for skin repair, moisture content and flexibility. Essential fatty acids can be found in cold water fish such as salmon and mackerel, flaxseeds and safflower oil. Fatty acids are essential for hair growth and production of natural oils that hydrate your hair and scalp. Selenium is an antioxidant mineral responsible for skin elasticity and prevention of cell damage from free radicals. Dietary sources of selenium include whole grains, brazil nuts and garlic. Vitamin C is effective at reducing the free radical damage that affects collagen and elastin which support skin structure. Vitamin C helps keep hair follicles healthy and scalp oils circulating. Broccoli, peppers, blueberries and dark leafy greens are all good sources of vitamin C.
Vitamin D foods such as yogurt are high in pantothenic acid also known as vitamin B5. Pantothenic acid, often found in hair products, is thought to be helpful for hair loss and dandruff. Vitamin E is a powerful antioxidant that protects and repairs cells damaged by sun exposure. Rich sources of vitamin E include wheat germ, walnuts, spinach, avocados, almonds and tomatoes. Walnuts also contain biotin and copper which support hair growth and color. Vitamin A promotes proper repair and maintenance of the skin and helps protect and produce oils that sustain the scalp. Foods high in vitamin A are apricots, carrots, sweet potatoes and cantaloupe. Over a lifetime, too much time spent in the sun advances the aging process, causes wrinkles and age spots and increases the risk of skin cancer. Use sunscreen whenever you go outdoors. Look for shade when the sun’s rays are strongest. Try to avoid prolonged exposure between the hours of 10 a.m. and 4 p.m. Wear clothing that protects your skin such as hats and long sleeved shirts. Smoking damages collagen and elastin, depletes the skin of oxygen and nutrients and contributes to premature aging and wrinkling. If you desire younger, healthier looking skin, the best thing you can do is stop smoking. Just as stress can give you stomach upset, it can also impact skin health by causing acne and eczema flare ups and hives. Skin disorders are impacted by emotions as your body releases stress hormones including cortisol that can increase oil production. Use warm, not hot, water and limit the amount of time you spend in the shower or bath. Use mild cleansers as opposed to strong soaps, gently pat your skin dry and apply moisturizers that are appropriate for your skin type. Consider a moisturizer that contains sunscreen for daily use. Exercise promotes circulation which helps to keep your skin vibrant and healthy. Exercise eases stress and helps cleanse your skin from the inside by increasing blood flow that carries oxygen and nutrients to the skin and removes waste products and free radicals. Following these simple guidelines can help you put your best face forward. Drink water to hydrate and opt for healthy lifestyle choices that can help you look and feel your best. Vitamins and minerals can nourish the skin helping it appear more youthful. Remember, your skin is the fingerprint of internal health. When it comes to healthy hair, it’s not just what you put on your tresses that counts, it’s what you put in your body, too. Hair/Skin/Nails Ultra by Pure Encapsulations provides key building blocks and nutrients to support skin elasticity and hydration, healthy hair, nail strength and thickness. 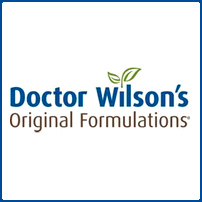 Hair, Skin and Nails Plus Formula by Douglas Laboratories supplies beneficial amounts of vitamins, minerals and other nutrients specially formulated to support healthy hair, skin and nails. Skin, Nails & Hair by Innate Response Formulas is a whole food product that contains vitamin C, vitamin E, zinc and ginger to support skin, nail and hair health. MSM by Pure Encapsulations contains sulfur, a key nutrient needed to maintain connective tissue health, particularly those containing significant amounts of collagen and keratin, such as hair, skin, and nails.